A month or so ago, I was in Montreal for 24 hours. After posing the question to my Canadian friends on where to go for good eats, two places kept coming to the top of the list: Schwartz's and Blackstrap BBQ. So, after landing and checking into the hotel, my colleague and I ran to the rental car and started off on our meat adventures. 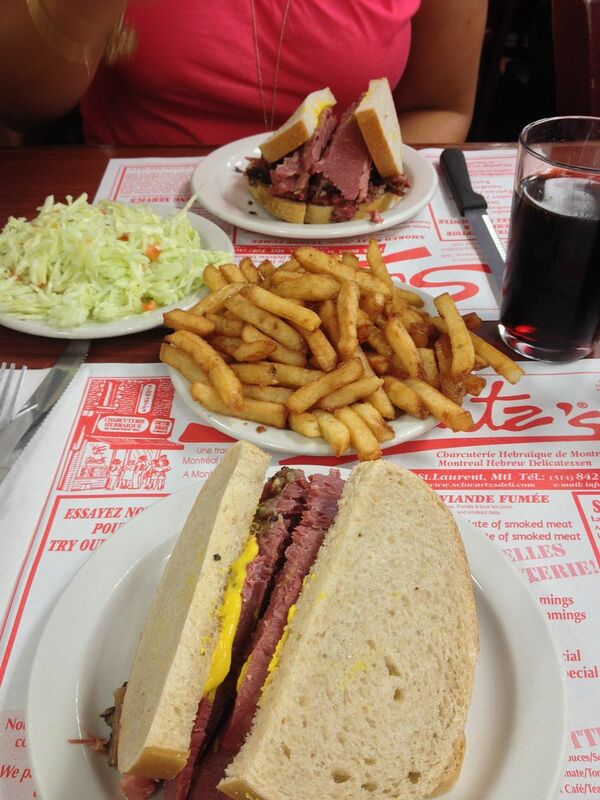 First, for lunch, we went to Schwartz's Deli in search of the best smoked meat in Montreal. As you can see, it is quite the popular place. A decent sized line at 3 pm. What is this? Hunks of smoked meat. Beef, turkey, and smoked meat in link form. This line cannot move fast enough! Is this heaven? No. But, it is nirvana for sure. So, what is smoked meat? Well, here is the long answer complements of Wikipedia: Montreal Style Smoked Meat. 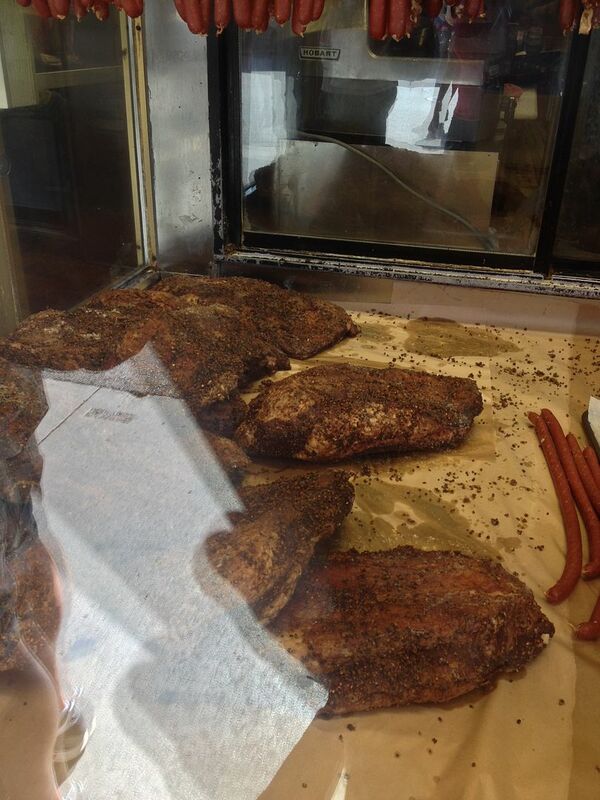 The short answer is that it is pastrami, but not quite. Corned beef is the starting point, but the rub for smoked meat has less sugar and more savory than New York pastrami. You can order your meat fatty, lean, or mixed. I opted for the mixed because I knew I had a date with some top notch BBQ later in the day. We also ordered a side of pommes frites and some vinegar slaw to cut through the fat. As an added bonus, some of the local soda to wash it all down. 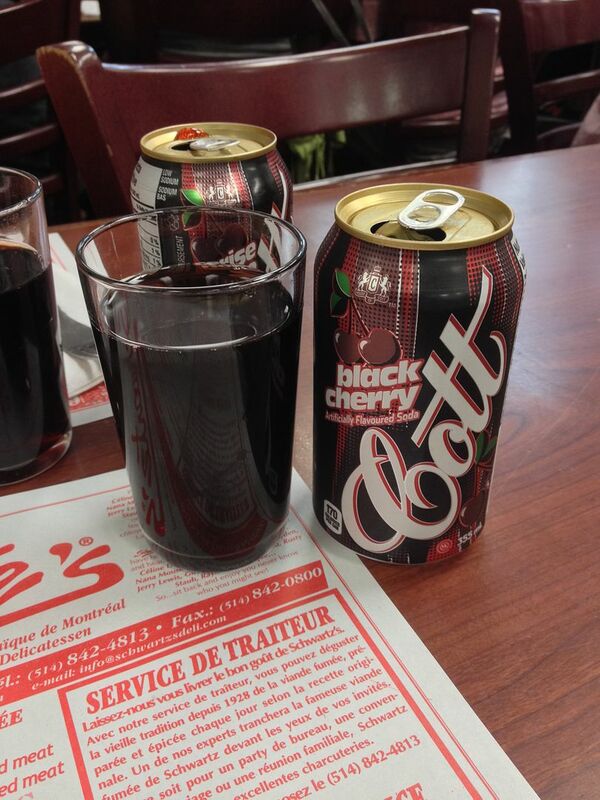 I cannot remember the last time I had Cott soda. This was an outstanding sandwich. Not too fatty, perfect rye bread, and great mustard. The meat was melt in your mouth good. It was noticeably different than your standard pastrami. I liked it for sure. I may have to try and make this at home sometime sure. After a quick nap, we ran off to Blackstrap BBQ for a highly anticipated dinner. I am happy to report that the recommendations I received were not in error. Being involved with competition BBQ, I have learned that the best BBQ around is not at a chain restaurant. 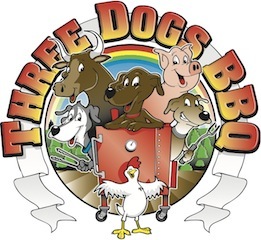 You can find the best BBQ around being made by the hard working competition teams on the competition circuit. 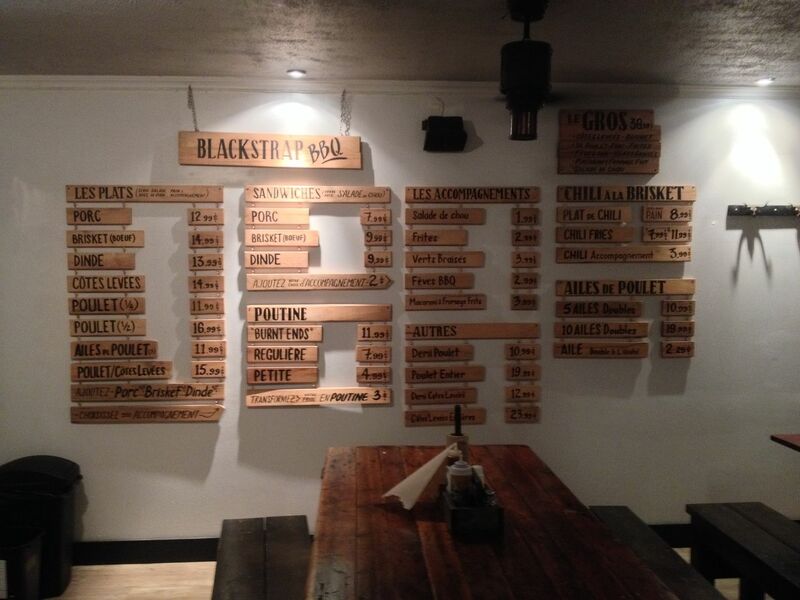 But, Blackstrap BBQ is run by Dylan Kier, a fellow competitor in Canada and New York. I was not disappointed. Oh my, what do I see? Poutine made with burnt ends? Maybe this is heaven? Rich, decadent gravy. Perfectly crispy fries. Cheese curds and the best burnt ends I have had in a long while. I shed a tear after trying this appetizer. Can it get any better? 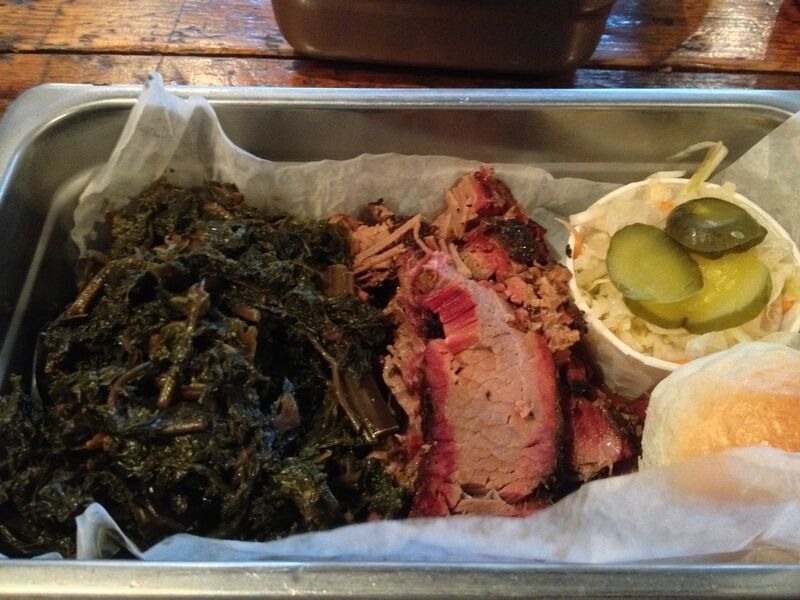 For dinner, I ordered the brisket along with a side of collards, slaw, and a roll for good measure. 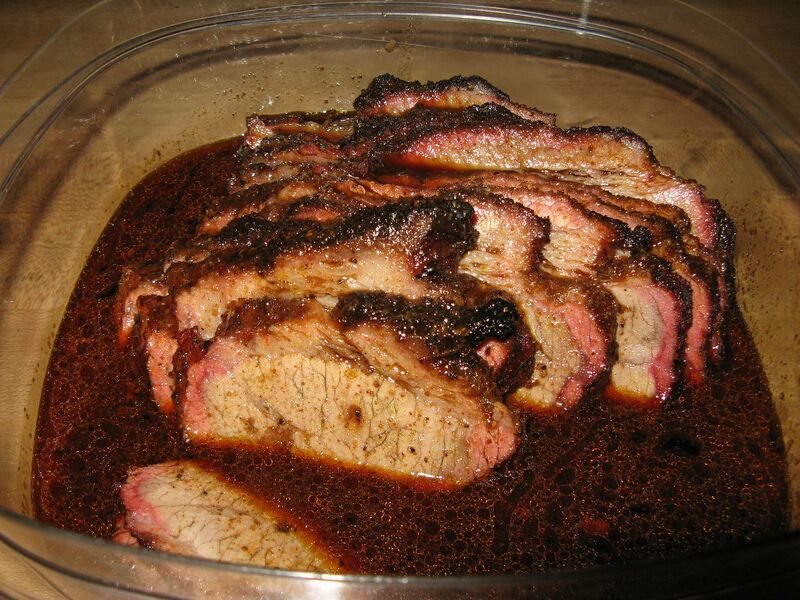 The brisket was perfect. Seasoned well with perfect tenderness. 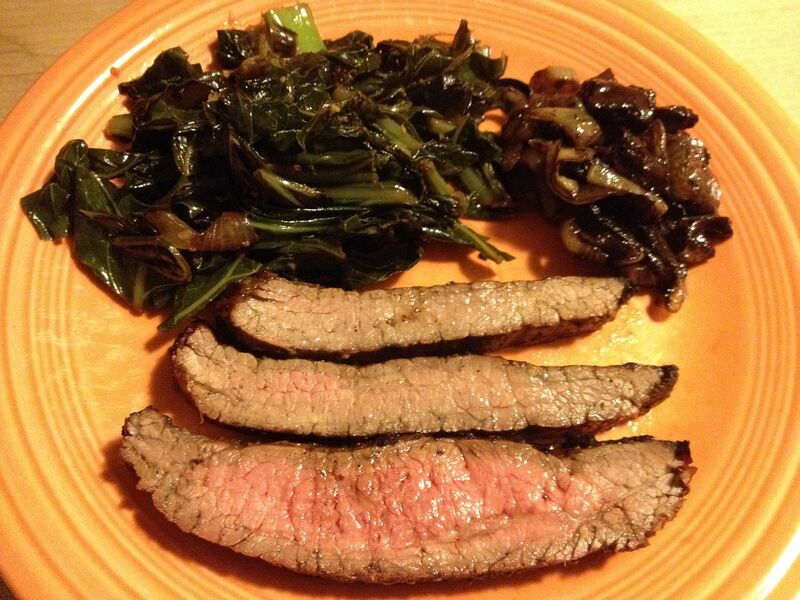 As an added bonus, these collards were in my top five of all time. Cooked to perfection, they still had some chew to them and the vinegar addition was perfect. Good collard in Canada? Go figure. Well played Blackstrap BBQ. One of my top choices for BBQ is now north of the boarder. I may have to schedule a return trip just for the burnt end poutine. 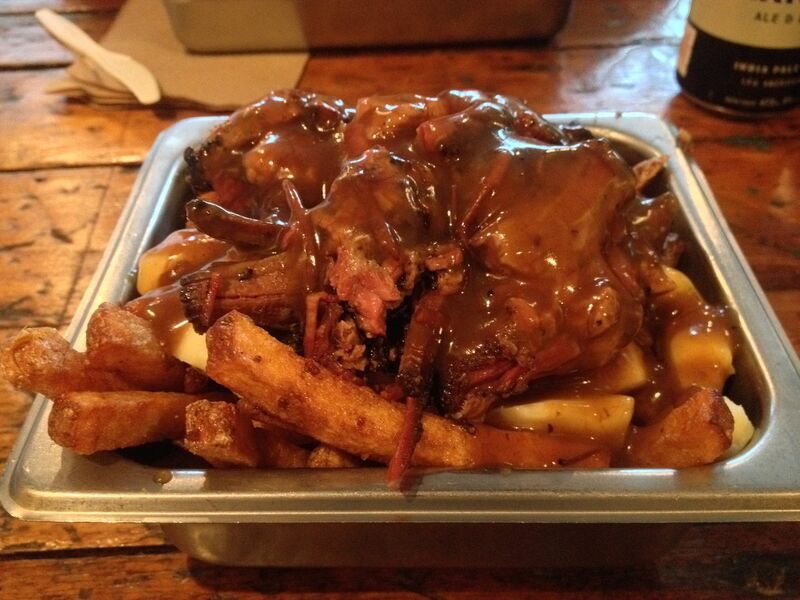 So, the next time you go to Montreal, head to either Schwartz's of Blackstrap BBQ. You can't go wrong with either. Oh, and bring your appetite as well. You will need it! I have to admit that I have never experienced poutine. Poutine with burnt ends sounds so good you lucky devil you. Poutine has become a bit of a popular dish in this area. I suggest that you try and make some at home. It is that good.